Fresh Monkey stopped by to share a teaser of Harley, the Eagle Force Ace Mechanic! There’s excitement for Harley around the boards, as he’ll not only look great on your Eagle Force shelf, but alongside your Dreadnoks as well. Harley isn’t the only EF news to be had! Ever hear of Eagle Force ’42? Well, that may be because FMF hasn’t announced it as of yet…but if you’d like to learn more about what Eagle Force ’42 is, make sure to join the discussion in progress after the break! If the campaign makes it up to $4,250 by the end of the week, we’ll get a special edition Goldie Hawk Metallic Foil card! If you have other Metal Foil cards from The Drawn Word, then you already know how awesome they are. If you don’t, then you need one in your life! If you’ve been holding off, there’s no better time than the present to get in on the campaign! Get in on the discussion already in progress after the break. The Eagle Force Returns Kickstarter Campaign is marching along, with just over a month to go and Just over $25K to reach funding! The campaign has posted a new update that is sure to please EF fans new & old! 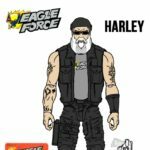 Today the Eagle Force Mechanic, Harley, was announced as a stretch goal. 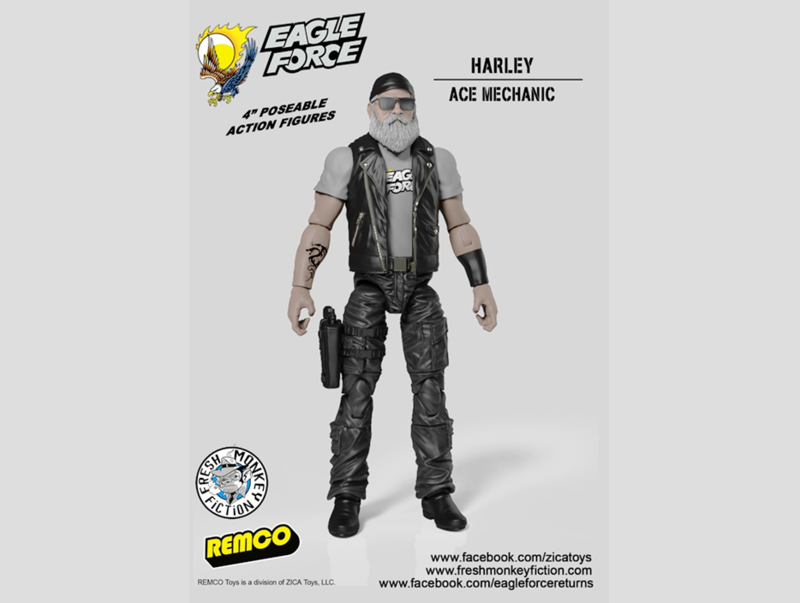 Harley will also be included in the “All In” packages, so that adds yet another character from the Eagle Force universe to our collections. The update also made mention of a new “Pick & Choose” option. The following Rewards/Add Ons will allow you to pick and choose any 5 or 10 characters you want. Once funded, you’ll be able to select any (non-exclusive) figure of your choice of from the BackerKit survey. Finally, a new character bio has been added for the R.I.O.T. pilot! Make sure to check out the full Eagle Force Returns Kickstarter update then join us after the break for discussion already in progress!